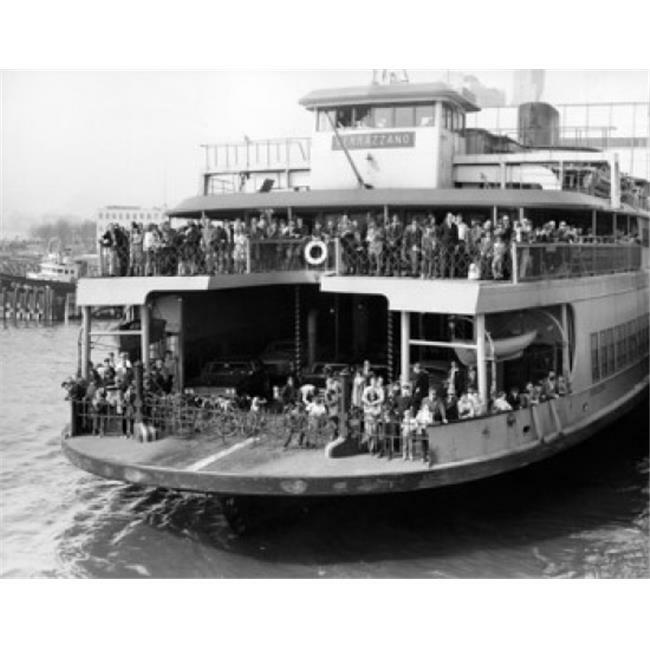 Crowded ferry in the bay Staten Island Ferry Verrozzano New York City New York State USA Poster Print (18 x 24). Posters for your wall and fine art prints for the home or office. Crowded ferry in the bay Staten Island Ferry Verrozzano New York City New York State USA Poster Print is a licensed reproduction that was printed on Premium Heavy Stock Paper which captures all of the vivid colors and details of the original. A print perfect for any room! This print is ready to frame or use removable mounting putty to hang the old fashion way.